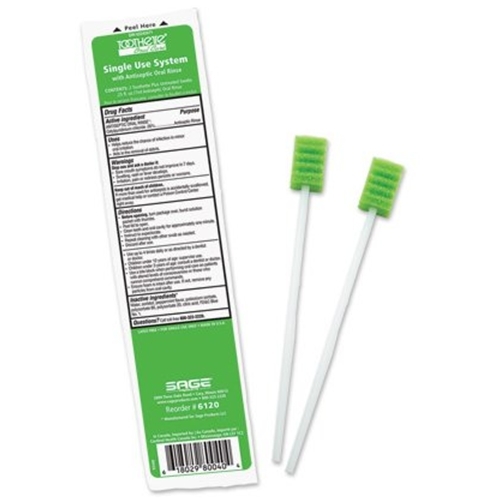 Toothette Plus+ Oral Swabs with Mouth Refresh Solution from HealthyKin.com moistens, cleans and refreshes the oral cavity. Has pleasant mint flavor to help reduce halitosis. Feature soft, secure foam heads with distinct ridges that gently lift and remove debris and mucus from the oral cavity, stimulate oral tissue and help clean between the teeth. you give the impression that the swabs are pre-moistened as they come. They are not...there is a very small amount of liquid in an enclosed packet that doesn't taste good, which has to be applied to each one. I wanted truly pre-moistened swabs. would not shop any where else, swabs are top quality. Thank you Healthy kin. Bought this for a needy family with a ill loved one. I ordered one afternoon and received it the next day!! Thank you very much. Love this product for my daughter's oral care. Trach patient.